Jeffrey Lige, who goes by the rap name of SLugga Lucchiano, was born in Canton, Ohio but moved to Athens Alabama at the young age of 10 years old. He was inspired at a very young age and drawn to music in a way that would not die down or go away but only grew stronger. He has been rapping since he was 12 years old but became more serious about his music in 2006. He is now 24 years old and has worked on numerous projects with a group he is a member of, “Da Block”.He has performed in numerous clubs in the Huntsville, Athens, Madison area but has also been at many record pools in Birmingham, Alabama and is continuing to market himself and create much excitement for these projects. Some musical inspirations that keep Slugga fresh, driven and on top of his game are TI, Jay-Z, and Lil Wayne. His musical style is very unique in that he puts no limits on what he will do pertaining to genres and even concepts. He wants to make his mark in the industry by being unique and always cutting edge. He has a strong loyalty to Athens, Alabama and the people from there.His drive and love for music has kept him out of the streets and in the studio where he can freely express artistically as opposed to participating in the negative things life has often thrown at him. Slugga aka SL is determined to succeed and have his music live on forever. He has a work ethic like no other and is a joy to do business with. His solo debut mixtape, In My Own World, dropped in July 2010 and was a success with over 5000 downloads. SLuggga is now building off that success with his next mixtape Feed Me Rappers,Feed me Beats dropped on 10-31-11. An EP is also in the works as well. 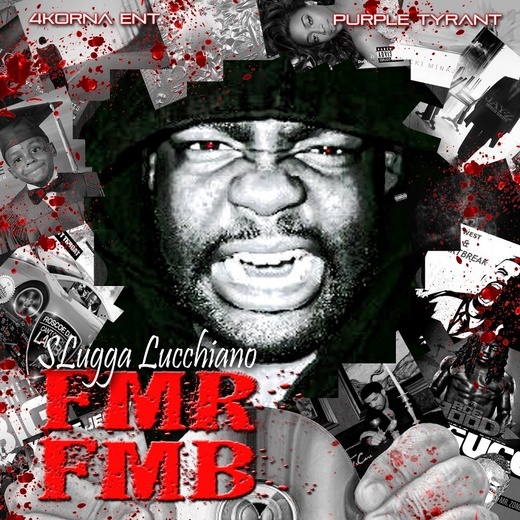 Slugga Lucchiano has also paired together with fello 4Korna artist J. Kidd to form a duo. A Mixtape and an EP will released later in the year.